Age-wise, we see for Facebook that 32% of users are between 18-24 years old and 31% are between 25-34 years old. For Youtube, the largest group of users is the same as Facebook with 18-24 years old making up 45.6% of the user base and 24-35 years old making up 24.9%. 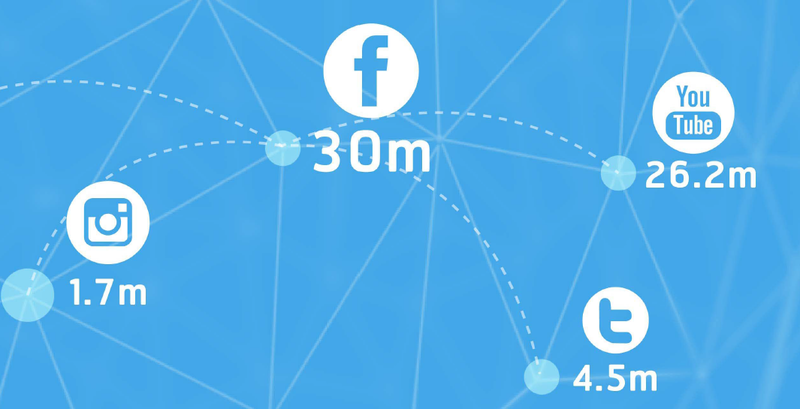 Drilling down further into the Facebook statistics, besides the 30 million active users per month, we can also see that 66% login on a daily basis. 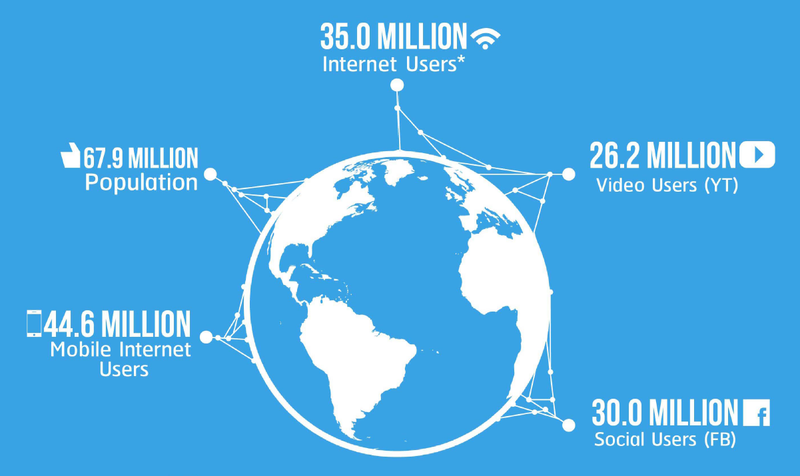 Out of the 30 million users, a huge chunk of 28 million users are active on mobile devices. 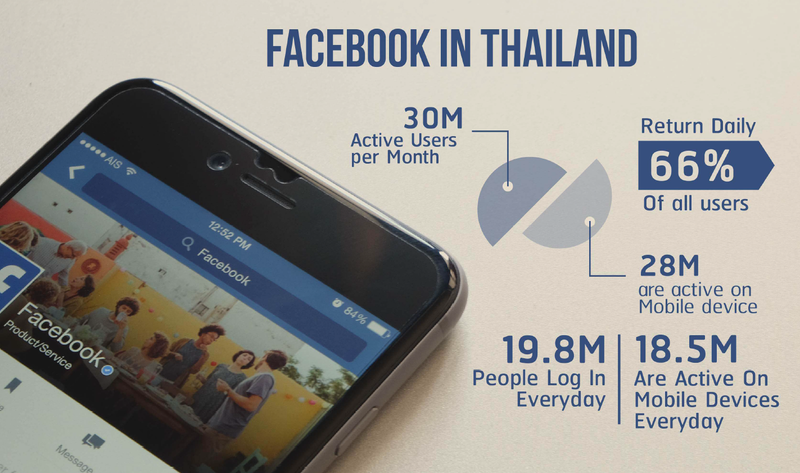 The user activities on Facebook in Thailand are much higher than the global average. There are total of 7,822 million total unique visitors per month and 2,144,000 average daily visitors. A single visitor visits around 16.6 times per month and the duration per visit is 17.3 minutes. There are a total of 4.5 million twitter users in Thailand and 3.4 million tweets in Thai. There are however a larger number of inactive users (61%). There are a total of 1.7 million Instagram users in Thailand, 35% of who are men and 65% women. Click here to see the full DAAT Thailand Social Media Landscape infographic.